ET Now: The metals and PMI data for India and China are showing some positive traction. Do you see an upside for higher FII flows in these economies? 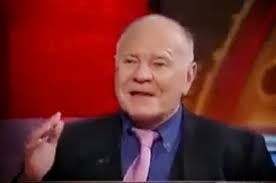 Marc Faber: We have to be very careful with the data that is published by governments. I do not think that the Chinese economy is accelerating on the upside. Trend wise, Chinese growth will slow down from, say, around 10% annually in the last 10 years or so to a range of, say, 4% to 6% annually, but you have two huge countries -- China and India.